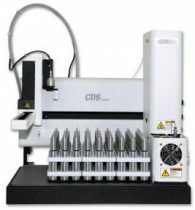 The CDS 7500S is a high throughput thermal desorption autosampler with a robust XYZ autosampler that can desorb from tubes from any manufacturer regardless of length or diameter. The system does not require cryogenic or peltier cooling of the trap resulting in better water handling, eliminates possible freezing during the desorb/resorb phase, and provides easier trap replacement. The autosampler incorporates a unique pre-heat function that results in improved chromatography for both volatiles and semi-volatiles. The system also has a tube sensor, automated internal standard addition option, automatic leak check, and all heated zones up to 350°C ensuring no loss of higher boiling point compounds. Single tube and multi-tube conditioners restore tubes to their original condition. The multi-tube conditioner can control individual temperatures and flows for each tube, the heaters and fittings can be configured to accommodate tubes of differing lengths and diameters simultaneously. 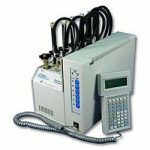 Software or hand-held terminal control offers programming for each tube chamber in 1°C and 0.1 minute increments. The conditioners also offer an injection port that facilitates internal standard addition.